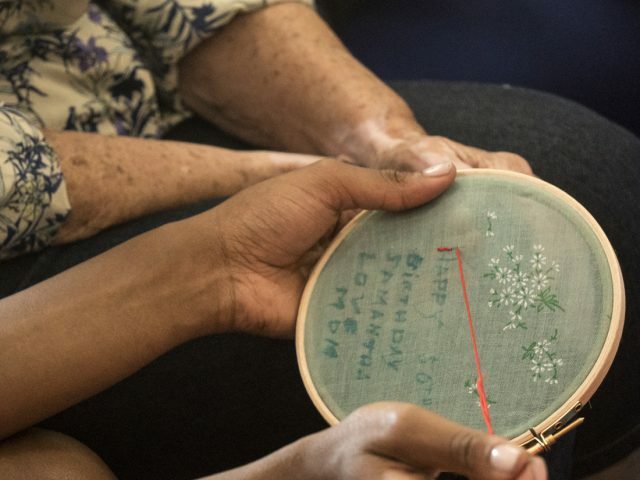 A year-long programme of inter-generational making based activity initiated by Craftspace and taking place at Birmingham Settlement. 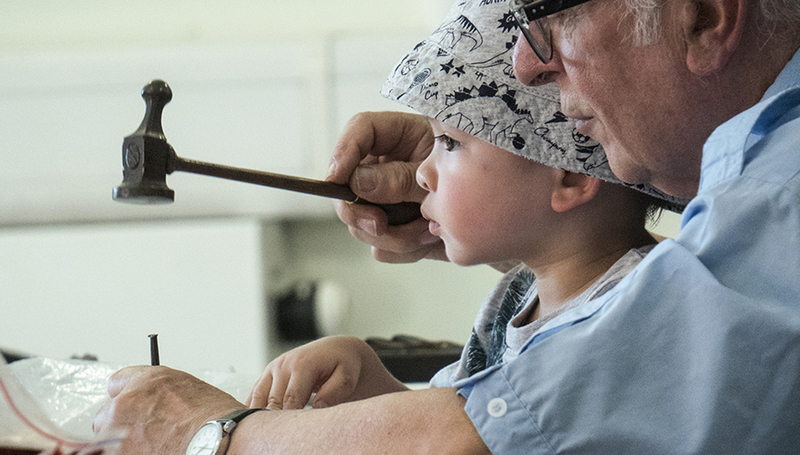 Established and emerging makers are working with early-years children (0-5 years) and their families in an open-ended way, exploring the processes and techniques used by artists who work in textiles, metal and clay. 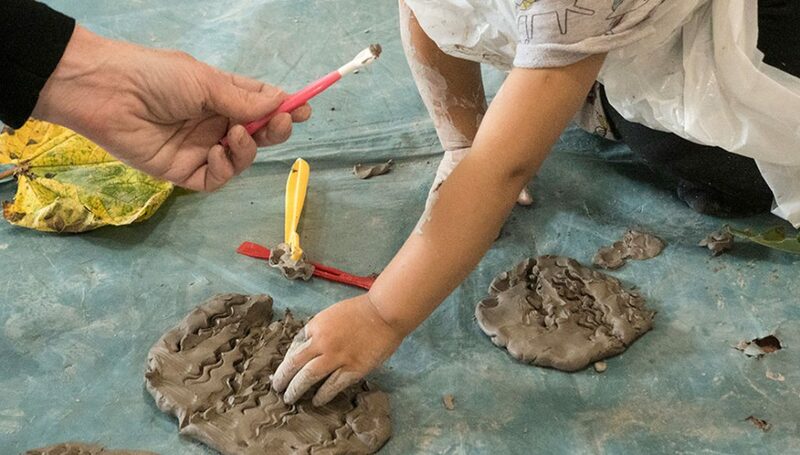 The project will provide an opportunity for children, parents, carers and grandparents to explore and make together. Tusheeta David is an established jewellery designer who also works in textiles. Tusheeta will be working with textile artist Amarah Simms, who uses a wide range of materials to create texture, surface and natural forms in her work. 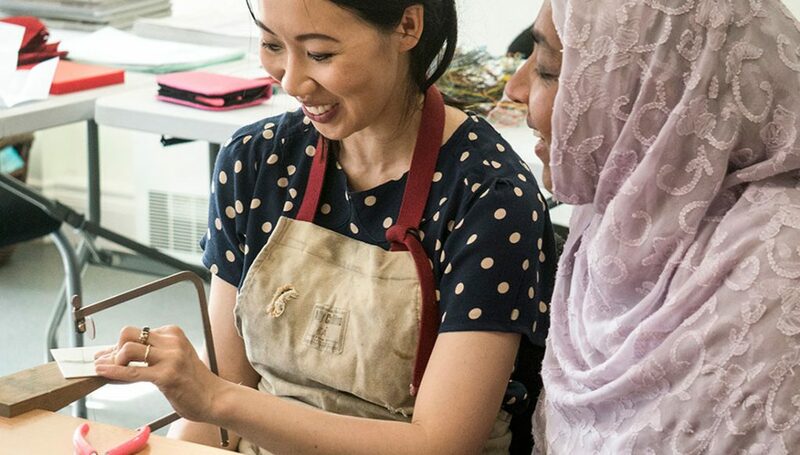 Their residency will explore textiles through re-purposing and re-cycling a range of domestic fabrics that are easily available, incorporating a wide variety of textile-making techniques including knotting, patchwork, quilling, wrapping, sewing and embroidery. See photos/video and read about how the textile workshop went here. Theresa Nguyen is an established artist silversmith, creating a wide range of pieces inspired by natural forms. Theresa will be working with Hannah Brown, a designer maker specialising in sculptural surface design. 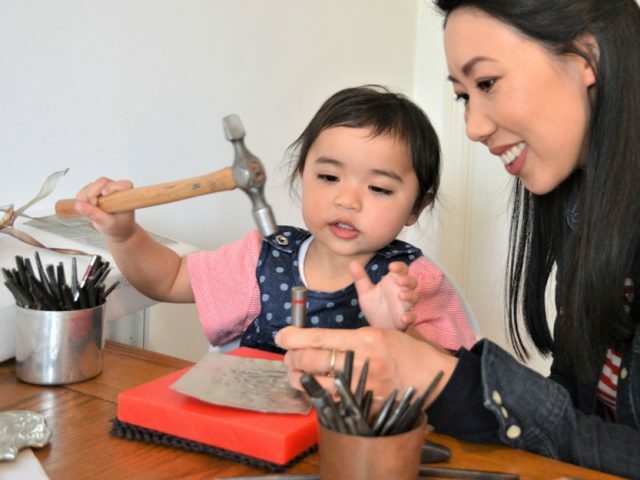 Their residency will explore the material properties of metal in an open-ended and versatile way, incorporating techniques such as mark-making, embossing and stamping, and using a range of tools and materials including pattern-chasing punches, textured hammers, wire, fabric, lace and paper. See photos and read about how the metal workshop went here. 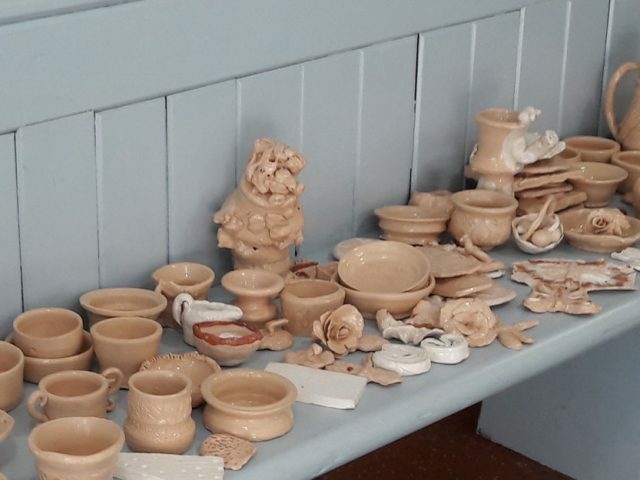 Jon Williams is an established ceramic artist and co-founder of Eastnor Pottery in Herefordshire, working with all ages and abilities to explore creativity and share the therapeutic benefits of working with clay. 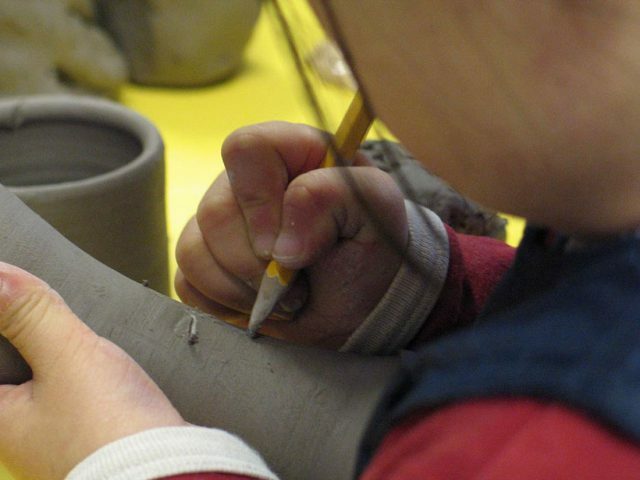 Working with ceramic designer maker Joanna Dawidowska, the clay residency will create exploratory experiences for participants using slip, soft clay, fired ceramics and natural materials, and will incorporate a range of ceramic techniques including slip painting, construction and using a potter’s wheel. See photos and read about how the clay workshop went here. 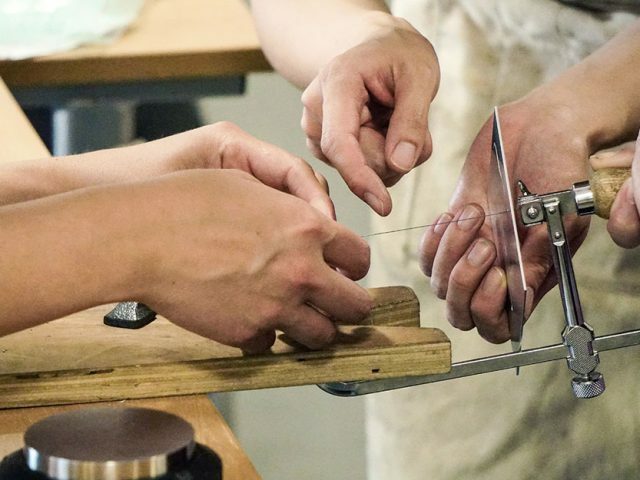 Craftspace believes that the exploration of materials through making is a transformative and positive process that develops social, cognitive and communication skills, and encourages a lifelong connection to creativity and making that supports mental health and wellbeing. We plan to test this out through Making Together using tools developed by CREC (Centre for Research in Early Childhood). Can a digital resource help families with children aged 3-5 to make together? 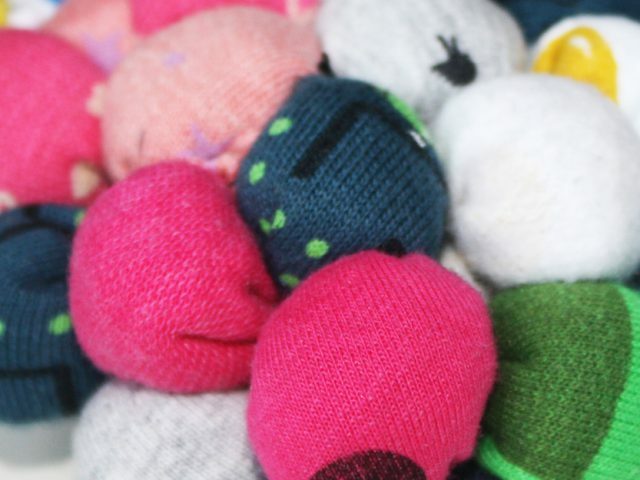 Craftspace has been given a digital bursary from Arts Connect West Midlands to explore this question. 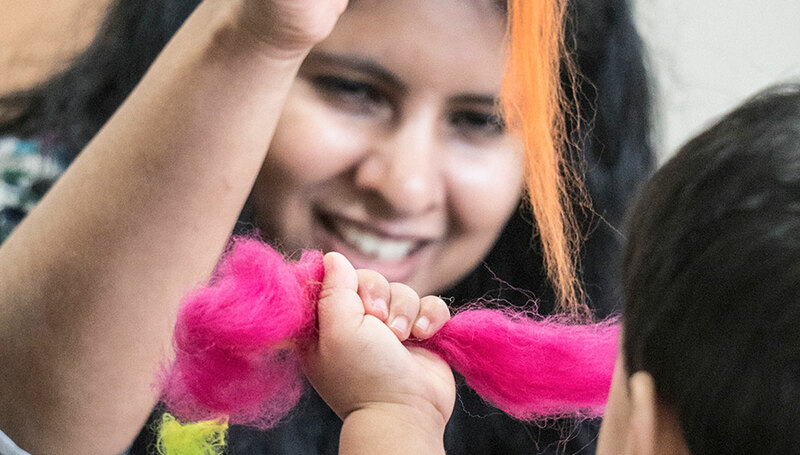 We plan to consult with families from Bloomsbury Children’s Centre, run a creative lab day with makers and digital designers to generate ideas and then work with one designer to develop an idea and test out with families. We will share our progress and learning in November 2018.
using a wide range of accessible approaches and processes. 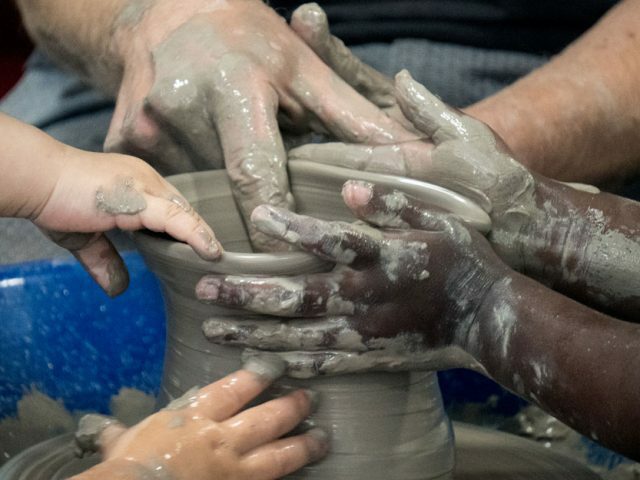 Craftspace believes that the exploration of materials through making is a transformative and positive process that develops social, cognitive and communication skills, and encourages a lifelong connection to creativity and making that supports mental health and wellbeing. Making Together is funded by Birmingham City Council through the Cultural Re:generation scheme. Book your place on our free workshops. Read about the celebration event at Aston.